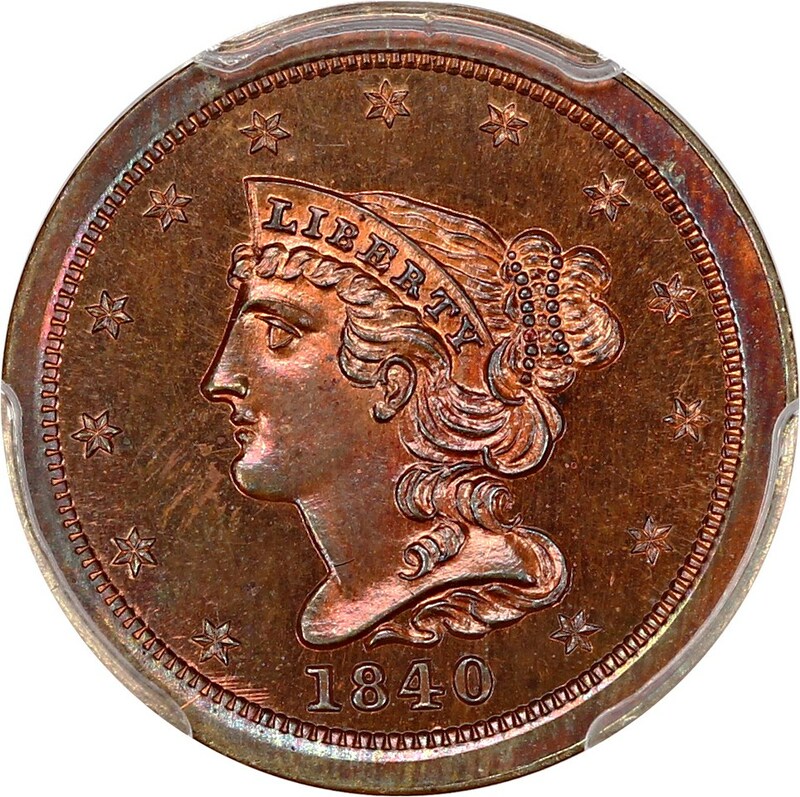 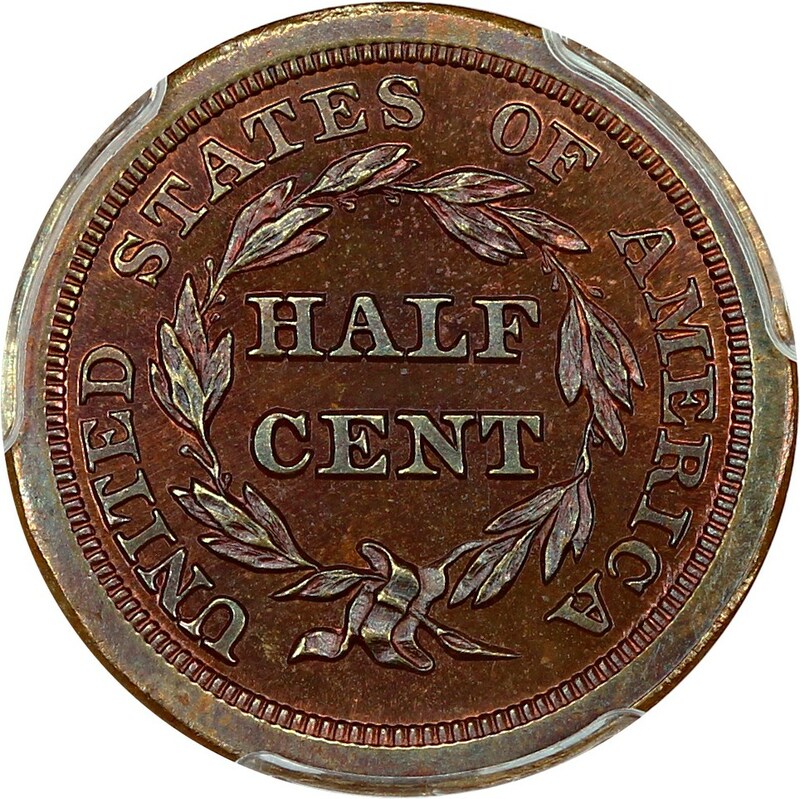 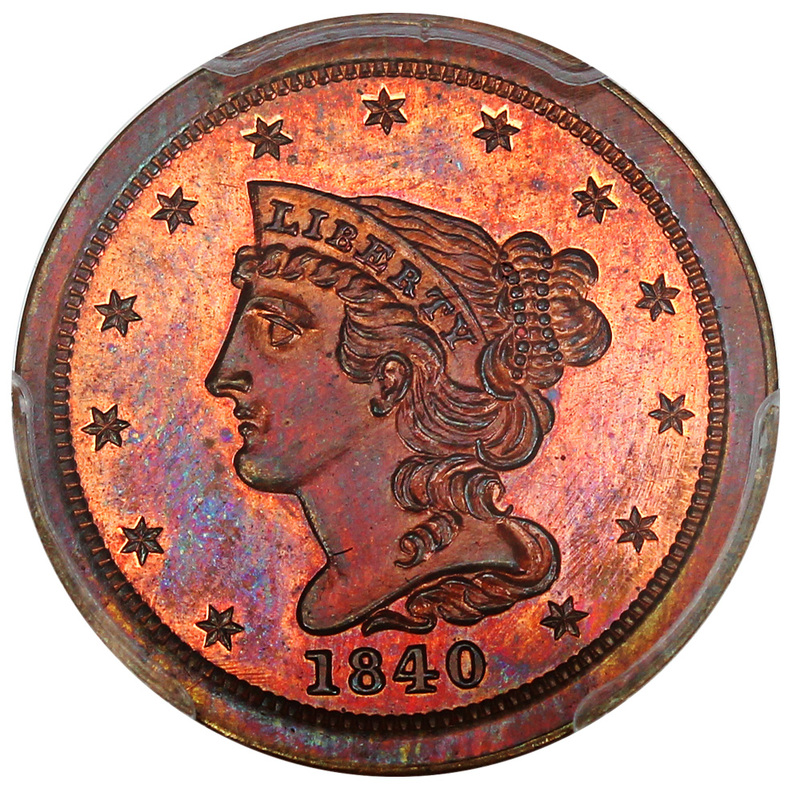 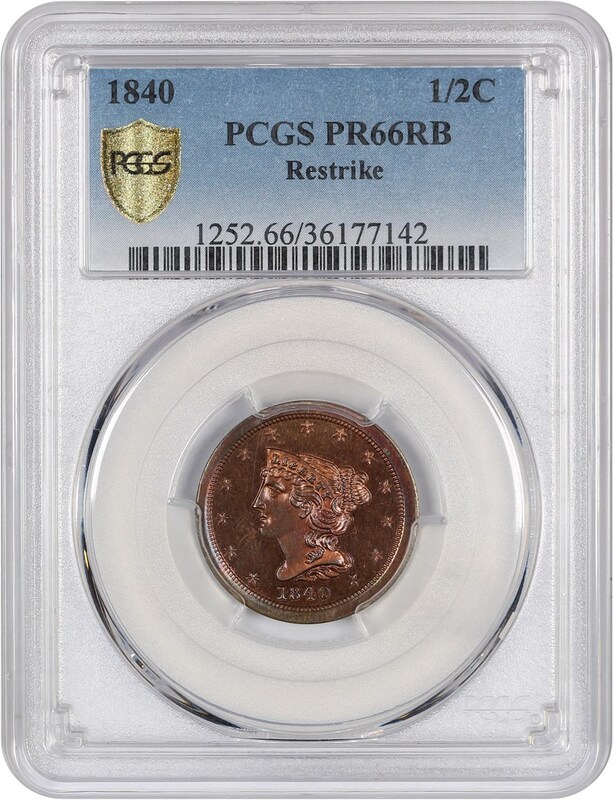 Beautiful Gem Proof Half Cent from 1840. 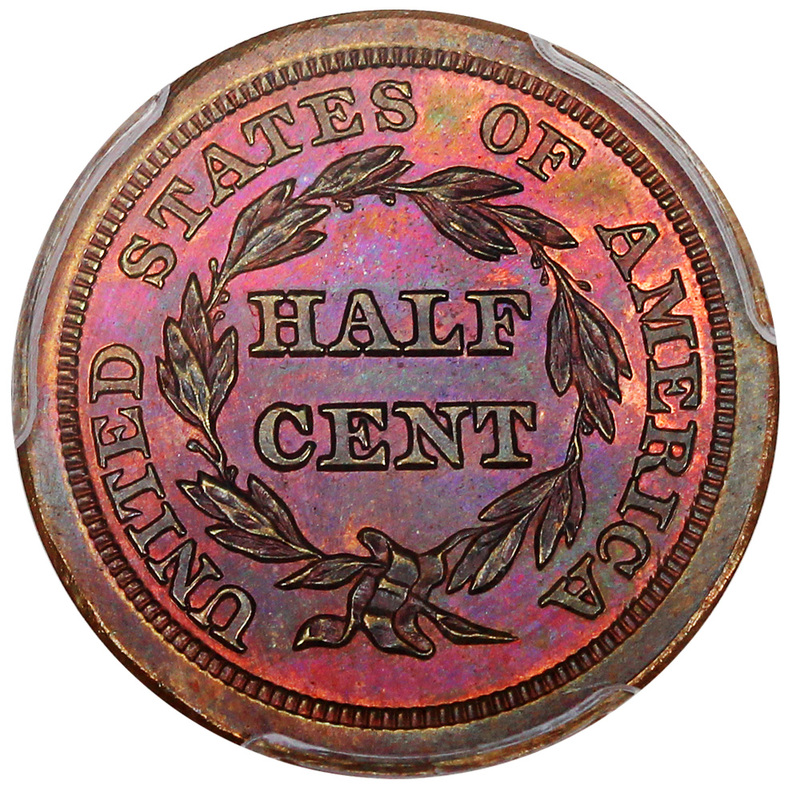 Gorgeous pink and blue highlights with nearly Cameo fields. 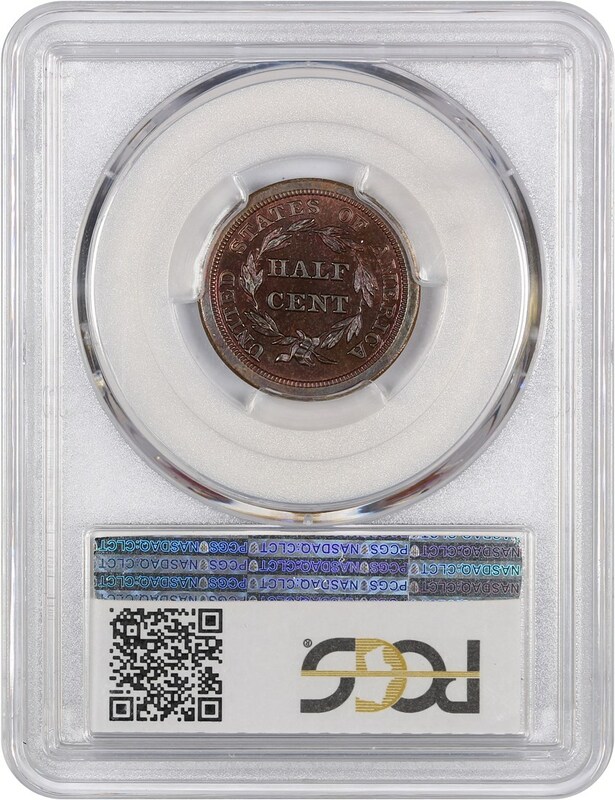 Gorgeous lavender and blue tones cover the reverse of this absolutely immaculate gem.